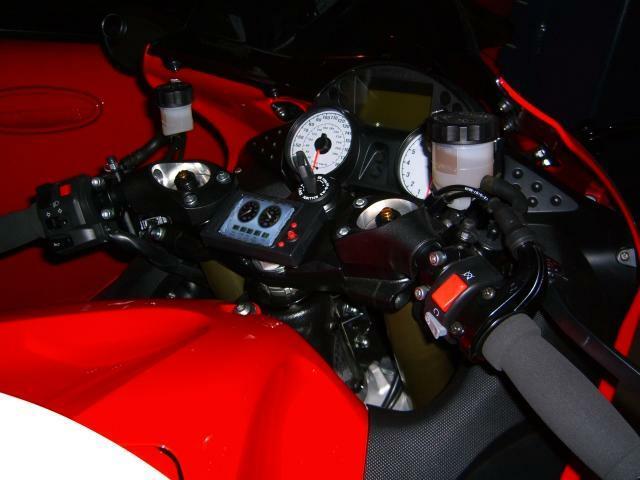 NEW: The DynoJet Power Commander LCD display bracket for sport and super bikes. 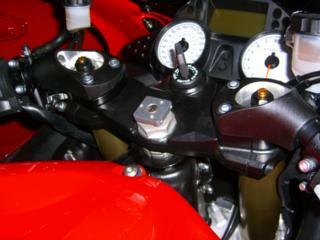 Picture above shows the LCD Mount installed on the bike. Above picture shows LCD mounted and secure. Above picture shows what comes in the kit. It will work with all superbikes with a stem hole of 13mm & 17mm (Most Superbikes). Comes with three locator pins for quick installation. Velcro can hold the unit in place or you can use the two set screws in the side on the bracket to secure your LCD locator pins Permenently. Simple 2 minute installation. Expanding nut locks the mount in place in seconds.